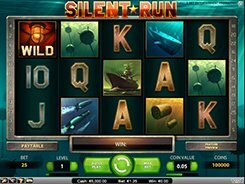 Silent Run is a 5-reel slot that will take you on board a submarine in its ship-sinking mission during World War II. 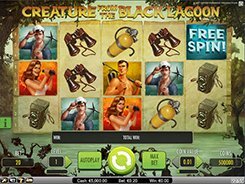 On the reels you will come across submarines, battleships, torpedoes, submarine mines, depth bombs as well as standard playing cards. The slot is played over 25 fixed lines, and the number of coins is adjusted from 1 to 10 per line. By configuring a coin denomination from $0.01 to $0.5, you can increase or decrease your bet in a range of $0.25 to $125 per spin. The slot features a wild and an Echo wild symbol. A normal wild (Alarm Lamp) substitutes for other non-feature symbols. When an Echo wild appears on the screen, it starts scanning the reels and randomly morphs three symbols into wilds. 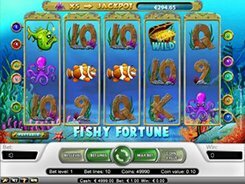 Look out for a green Echo Bonus symbol on reel 3 as it triggers an eye-catching bonus game. On a new screen, you will find yourself looking through a periscope, and your task is to pick a target ship and release a torpedo. 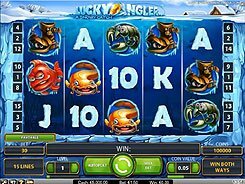 Each hit awards a cash prize multiplied by the multiplier value shown on the screen.